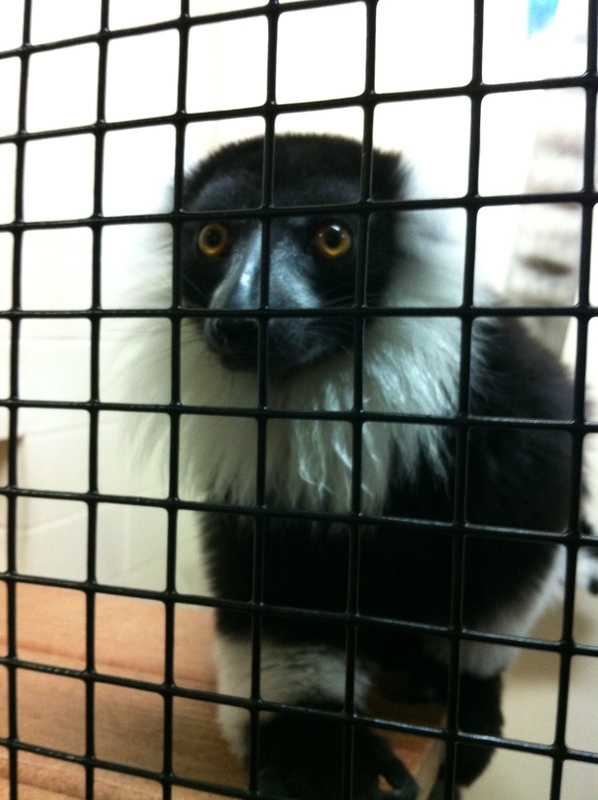 I had a chance to join the pre-Science-Online tour of the Duke Lemur Center this year. 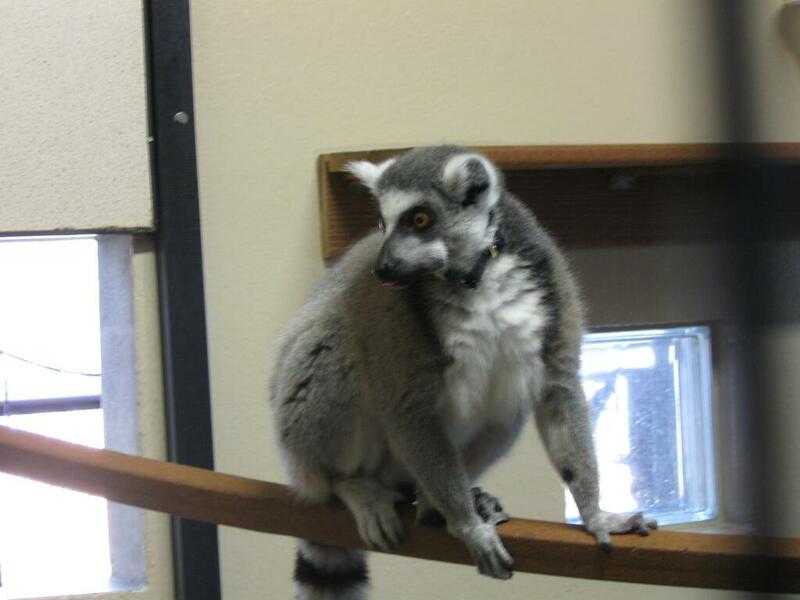 The Duke Lemur Centre houses over 250 animals across more than twenty species. Most are different types of lemurs, but they also have other prosimian primates, like aye-ayes. The lemur centre was established in 1966, and grew to the largest living collection of endangered primates in the world. The center does research in a number of areas, from communication to genetics. All research is non-invasive, so the animals are not harmed in any way. 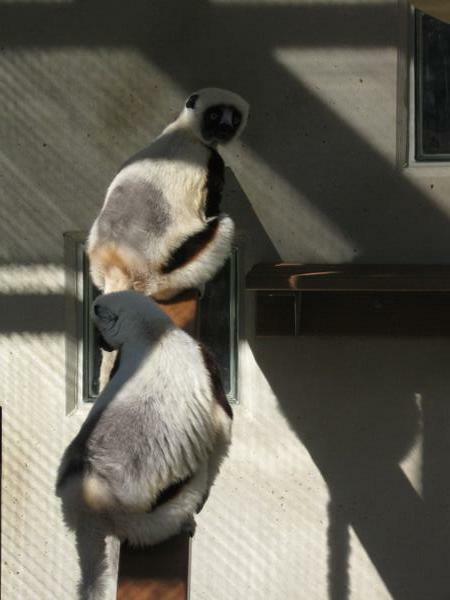 Lemurs’ natural habitat is Madagascar, which was separated from other land masses millions of years ago, allowing all kinds of unique plants and animals to evolve. Much like Australia, and for the same reasons, Madagascar became home to animals not found elsewhere on the planet. Humans only arrived on Madagascar about two thousand years ago, and since their arrival many endemic species have already gone extinct. The Duke Lemur Center is also involved in several conservation initiatives in Madagascar, but it’s most visible work is the housing and study of different lemur species. The North Carolina climate is not the same as Madagascar, and when we visited in February the lemurs were mostly indoors, with access to outside areas. 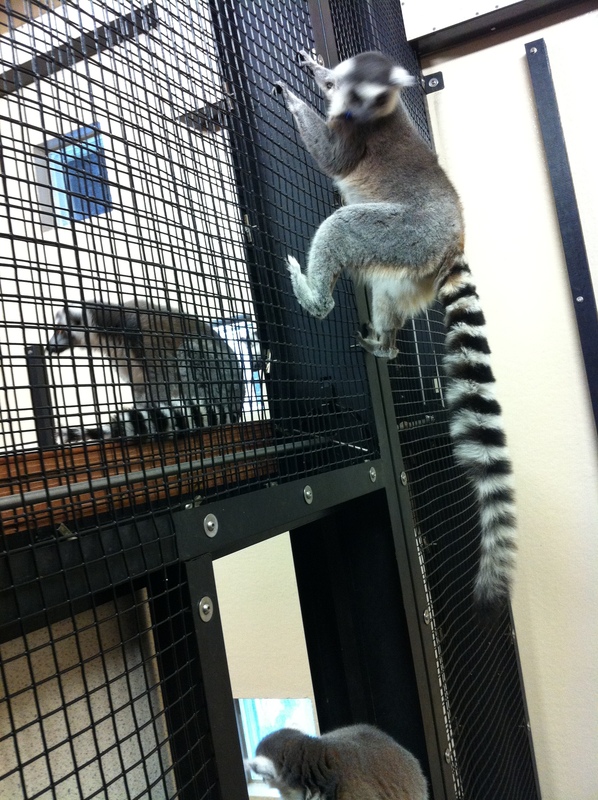 In summer, though, the lemurs are free-roaming within a quite large area of the forest. That would have been amazing to see, so I hope I get a chance to visit the area again in summer some time. First, fourth, and fifth photos by Melissa V who also did the Science Online lemur tour. Second and third photos by me. 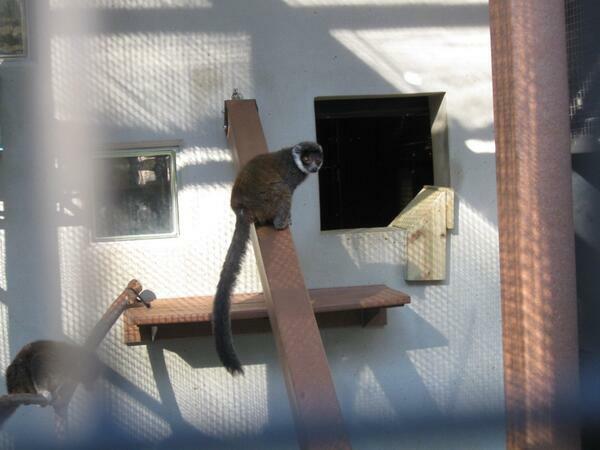 This entry was posted in Have Science Will Travel and tagged Duke Lemur Center, scio14. Bookmark the permalink. Endemics going extinct– Exactly! I had the opportunity to illustrate newly described yet “vulnerable” and “endangered” plants, some eaten by lemurs.